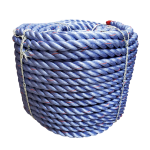 Our CWC registered trademark BLUE STEEL™ is one of the strongest co-polymer ropes in the market today. 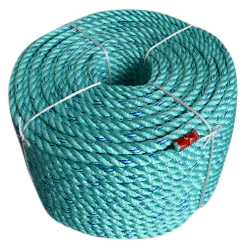 The turquoise color fiber with two dark blue tracers have become the industry standard for high performance utility ropes. Manufactured from high tenacity polyolefin yarns, CWC BLUE STEEL™ in coils offer easy handling, high strength and excellent abrasion resistance. It floats, has excellent UV characteristics and is economical.